Discuss the contribution of F.W Taylor’s Scientific management in the development of management thought. Describe how Hawthorne experiment contributed to the development of the theory of human relations schools of management. As a practicing manager, which of the two approaches (SYSTEMS or CONTINGENCY) would you adopt? Give reason for your selection. Differentiate between behavioral management perspective and system management perspective. Highlight the Henry Fayol’s fourteen principles of management. “The behavioral management perspective places much more emphasis on individual attitudes and behaviors and on group processes and recognize the importance of behavioral processes in the workplace”. Explain the statement. Do you agree that the behavioral school of management was the most important turn in the evolution of management thought? Discuss. Explain the contingency approach to management. Discuss F.W Taylor’s contribution to the development of management thought. Explain the concept of “system approach” and “ contingency approach”. Which approach do you suggest to be followed? Describe the behavioral school of management thought. What is its relevance to management? Briefly summarize Hawthorne studies. What are the primary conclusions reached following their completion? Several schools of management thought prevail in business literature today. Being a manager of an organization, which philosophy would you prefer? Why? Describe the ‘contingency approach’ and outline its usefulness to the study and practice of management. Differentiate between Scientific Management and Administrative Management schools of thought. Describe the contingency approach to management. Also highlight its application in the managerial process. Explain the Hawthorne studies of Elton Mayo. “Contingency approach to management overrules all theories of management”. Explain. Describe the essential features of system theory. What is the difference between system theory and contingency theory of management? Briefly discuss Contingency Theory of Management with its limitations. As a practicing manager of manufacturing organization in Nepal, which management theory would you like to adopt? Give reasons for your selection. 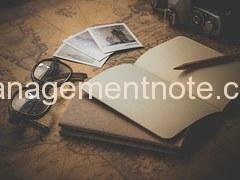 Discuss briefly the major schools of thought in management. Why have Taylor’s views of management had a lasting impact?